Check out the new Historic Sikh Gurdwaras section. Gurdwara Protocol - The information here is designed to assist a visitor to learn about the various activities in a Gurdwara. 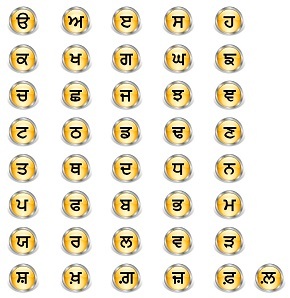 Try the 'Gurmukhi Letter Shuffle' to mix the order of Gurmukhi letters and test yourself. There are many hundreds of Historic Sikh Gurdwaras to discover (see more). Try the 'Gurmukhi Sliding Puzzle' to correctly arrange the order of Gurmukhi letters. Can you read the words in the beginners 'Gurmukhi Word List'? See here (for a full list of our latest website updates). Sikhism, known in Punjabi as Sikhi, is a religion for all. Sikhs believe God is the same for all races and people. Sikh Practices can be summarized in three words: Pray, Work and Give. A Sikh's goal in life is to lead an exemplary existence so that one may merge with God. Sikhs should remember God at all times and practice living a virtuous and truthful life while maintaining a balance between their spiritual and temporal obligations (the two swords in a 'Khanda' are a reminder of this). Sikhism doesn’t ask people to turn away from ordinary life to get closer to God. In fact it demands that they use ordinary life as a way to get closer to God. Sikhism is a practical religion something to be lived according to a pattern. Its main virtue is simplicity. There is no supernaturalism or mythology on which it rests. It does not believe in devils or angels or heavenly spirits. A Sikh serves God by serving (seva) other people every day. By devoting their lives to service they get rid of their own ego and pride. Many Sikhs volunteer in the Gurdwara as their service to the community. The Seva ranges from working in the kitchen to cleaning the floor. The Langar, or free food kitchen, is a community act of service. Sikhs also regard caring for the poor, sick or elderly as an important duty of service. 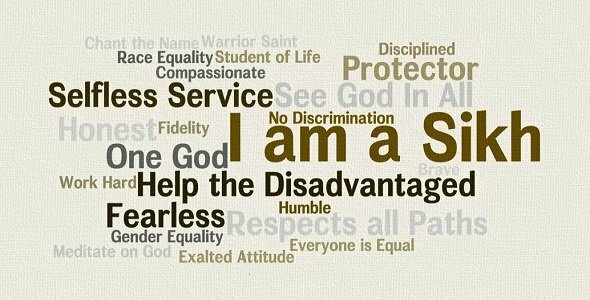 Unlike many religions Sikhism teaches the full equality of men and women. Women can participate in any religious function or perform any Sikh ceremony or lead the congregation in prayer. Sikhs believe that God is inside every person, no matter how wicked they appear, and so everyone is capable of change. Sikhs do not follow blind rituals such as fasting, mandatory visiting places of pilgrimage, superstitions, worship of the dead, idol worship etc. Most human beings can’t see the true reality of God because they are blinded by their own self-centred pride and concern for physical things. Sikhs should eliminate lust, anger, greed, attachment and ego/ pride from their lives. They should not take intoxicants, eat meat, engage in worthless talk. Sikhism is a democratic religion. 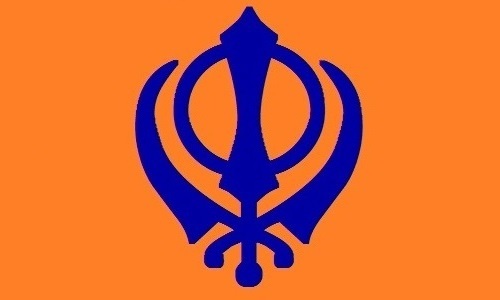 The decisions of the Sangat are regarded as resolutions having the force of law (Gurmatta) Guru Gobind Singh Sahib vested the authority of the organisation in the Panth. The Sikh way of living is described as an "active, creative, and practical life" of "truthfulness, fidelity, self-control and purity". Sikhs are expected to embody the qualities of a "Sant-Sipāhī"—a saint-soldier, this means to love God, meditate on God, keep God in the heart, feel God's nearness and also be strong, courageous and ready to fight to protect weak people from cruel unjust attackers. 'Sikh' literally means 'learn', as Sikhs strive to learn throughout their lives. Learn about the Sikh beliefs, practices, reasons for the articles of faith, Sikh scripture, Sikh emblems, Sikh national anthem, Gurdwaras, Five Takhts, Sikh ceremonies, Sikh festivals, Sikh literature, Sikh saaj, philosophical, teachings and more. There are many hundreds of Historic Sikh Gurdwaras that are not very well known. Sikhs have an amazing history that needs to be understood and preserved. Sikhs visit historic sites as a reminder of the Sikh Guru's, to learn about their sakhis (stories), to learn about their teachings and (most importantly) to be part of the sangat (community). Learn about the historic gurdwaras, locations and stories associated with the Sikh Guru's (Guru Sahibhan) and other historic Sikhs (during the period of the Sikh Guru's). The Sri Guru Granth Sahib Ji written in the Gurmukhī script, in various dialects – including Arabic, Lehndi Punjabi, Braj Bhasha, Khariboli, Sanskrit and Persian is truly a holy book for ALL. The Sikh Bhagats (Gurmukhi: ਭਗਤ) refer to holy men who lead a life of spirituality, dedication to God and whose teachings are included in the Sri Guru Granth Sahib. They lived between the 12-15th centuries. It is notable that the Bhatts became Sikhs from a background of many non-Sikh Indians today. 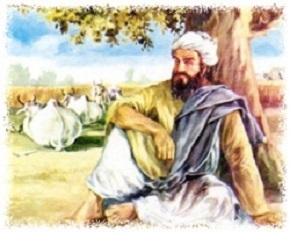 Bhatt Bani (the hymns by the bards) comprises of Ang's in the concluding part of the Guru Granth Sahib. Learn about the contemporaries and companions of the Great Sikh Guru's. Sikhism's unique philosophy is so great that it threatens established religions. This is why some have committed murder and genocide of the Sikhs. Sikh woman have played a glorious part in Sikh History and have proven themselves as equal in service, devotion, sacrifice and bravery. There are many benefits of learning to read, pronounce and understand the Gurmukhi script (paintee). 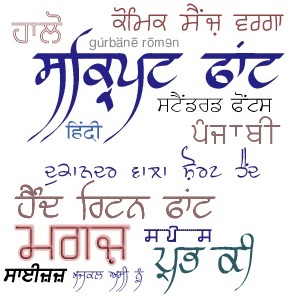 We have many great Gurmukhi fonts you can download and use for free. If connection is lost, press 'Play' again. Audio is not played during Ardas and overnight (at Amritsar local time). Mool Mantar is the first (and most important) composition in the Sikh holy text, the Sri Guru Granth Sahib Ji. It is the basis of Sikhism. Listen to a beautiful (slightly extended) version called the Maha Mantar here (1 min 10 sec). Do you have questions on Sikhism? The importance of keeping horses and horse riding. What do Sikhs look like? Anand Karaj - an empty ceremony? Do you believe Sikhs have a better future with an independent state? 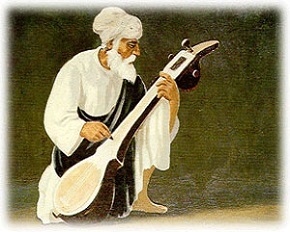 The picture above shows a 'Saranda' which is a unique instrument, which originated amongst the Sikhs. The Saranda was designed, created and also played by the fifth Sikh Guru, Guru Arjan Sahib Ji. Saaj is a Punjabi word commonly used to refer to musical instruments.